I arrive at the steps of The Metropolitan Museum of Art frantic and covered in a thick layer of sweat and pollutants. I crane my neck upwards on 5th Avenue, impressed by the sheer number of bodies that cover the steps. They move across the exterior like confetti, dwarfed by the museum’s grandeur and swarming in vibrant color. There is someone from everywhere here, including myself, just visiting from the Midwest for the weekend. I get through the doors and head over to the information desk to ask what floor the Diane Arbus exhibition is on. A young man, un-phased by the commotion, directs me back outside… to The Met Breuer. “It’s a short walk, just go to 75th and Madison.” I try to hide my embarrassment for my mistake as I am cast away from the main building and start my walk toward The Met’s contemporary outpost. As it turns out my subject for the day, the very reason for my trip uptown, knew this place intimately—better than most. 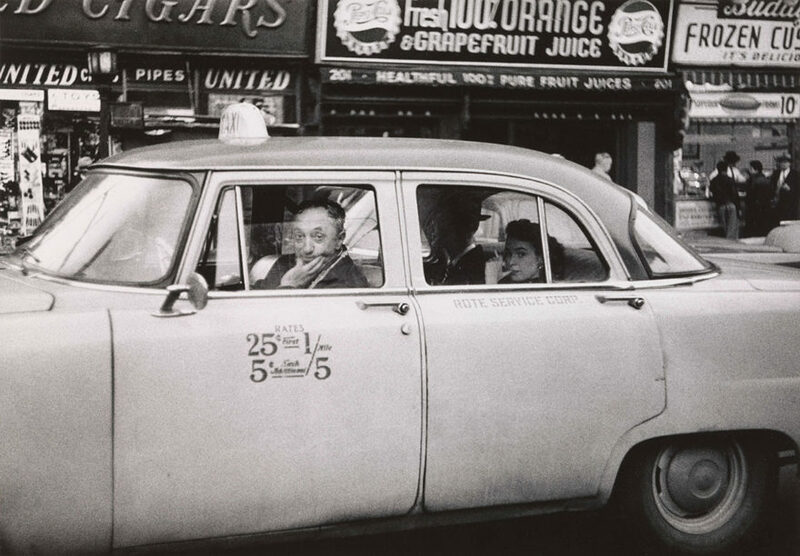 Diane Arbus, famed photographer of the 20th century, grew up in a wealthy Park Avenue family. Her parents were the owners of Russek’s, an upscale Manhattan shop. 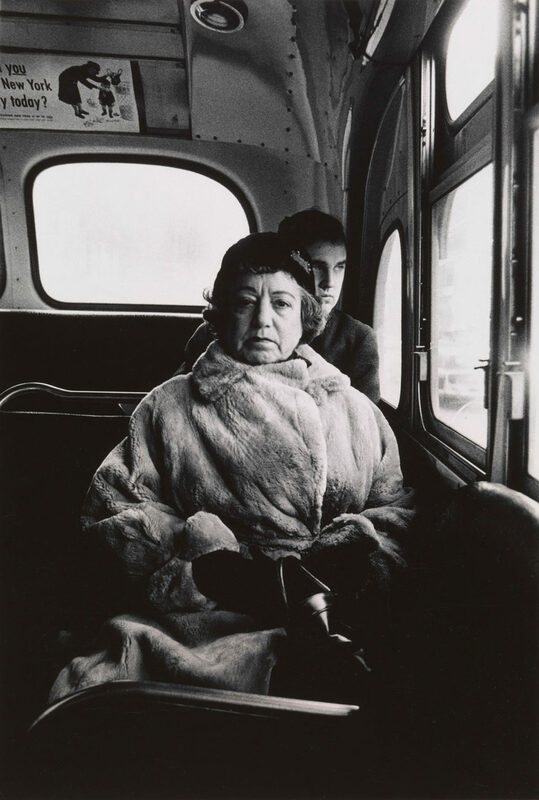 But Arbus was never fully comfortable with her wealth. “I remember the special agony of walking down that center aisle, feeling like the princess of Russek’s: simultaneously privileged and doomed,” she wrote to the artist Marvin Israel, in 1960. 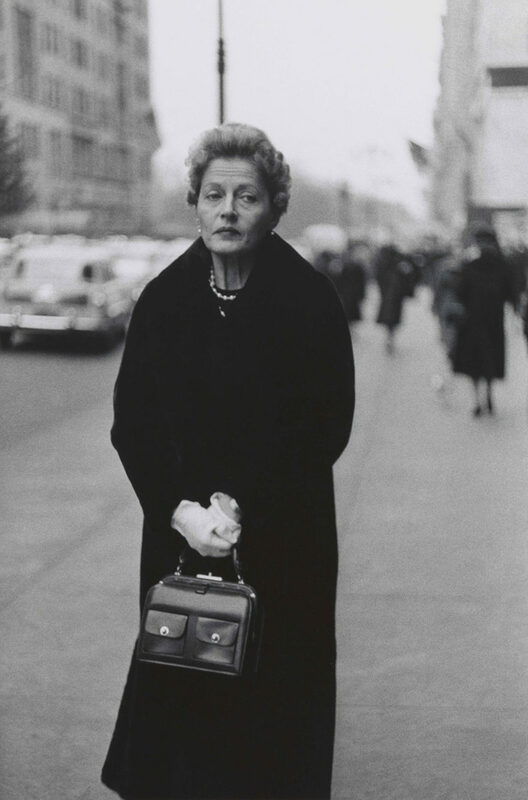 “[The] family fortune always seemed to me humiliating…” It is not surprising then, that the New York Arbus portrays in her most famous photographs is one of extreme juxtaposition between the wealthy and the poor, the glamorous and the destitute. The Breuer’s exhibition “diane arbus: in the beginning” seeks to explore Arbus’s immense body of work from very start of her career. Between 1956 and 1962 Arbus captured thousands of portraits in New York City, Coney Island, and New Jersey on a 35mm camera. The exhibition encourages viewers to similarly wander—to find their own beginning, middle, and end. Moving about the exhibition, I resolve to follow my eye and go directly to any image that seizes my attention: I begin at “Girl and governess with baby carriage N.Y.C.” of 1962, drawn to the dramatic isolation that surrounds the young girl and her governess. It seems implausible that such stillness could exist in the heart of New York City. The photograph creates a sensation of warped time, an image of a sterile and muted New York City before it became the bustling metropolis it is. “Woman with white gloves and pocket book” (1956), “Woman in a black hat with a pearl choker” (1956), “Woman on the street with eyes closed” (1956) and “Old couple on park bench” (1958) portray New York as a mecca of wealth, exclusivity and whiteness. At this point during my walk through the exhibition, I feel as though something is missing: the “freaks” and reprobates, people of color, and any sensation of fear and frenzy. 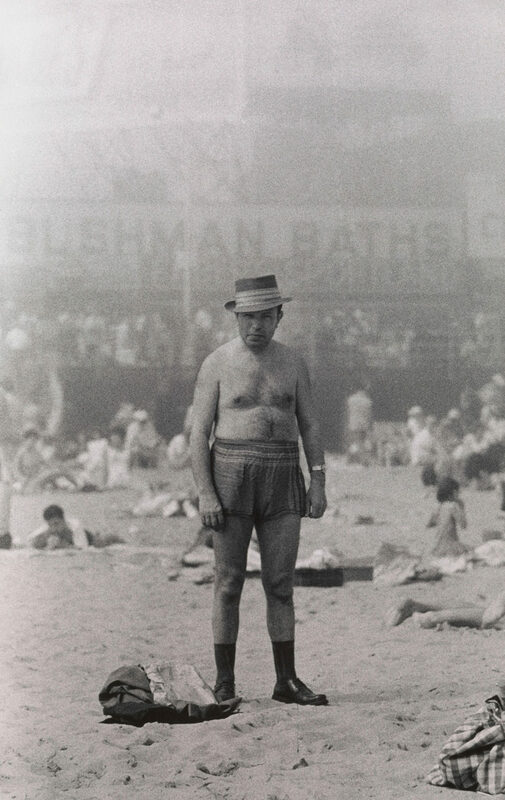 The photographs Arbus captured of any other population besides elite, white families were all taken in Coney Island or small parts of New Jersey. 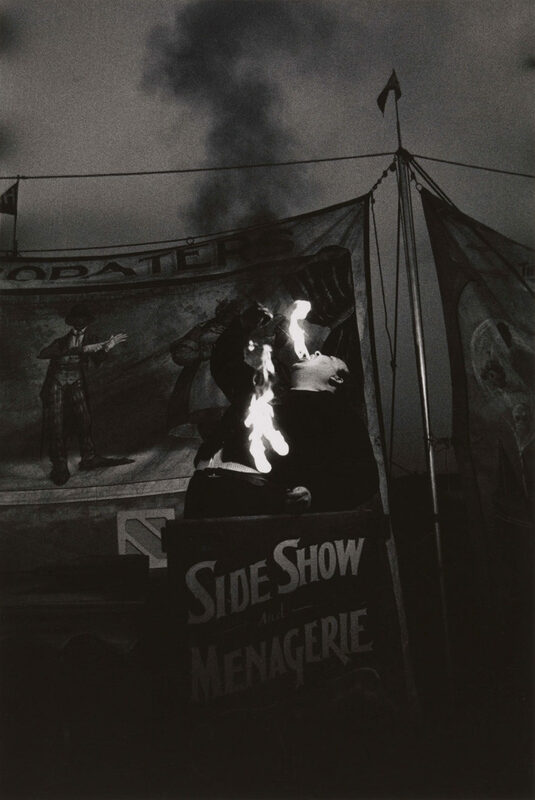 “The jungle creep” of 1960 as well as “Fire eater at a carnival, Palisades Park N.J.” of 1957 evoke the “violence of aesthetics,” a term coined by Andrea Noble in her article “Aesthetics and the Body Politic” in which she questions photographer Tina Modotti’s techniques of cropping and formatting. Noble argues that this tendency to crop images and employ selective processes of formatting encourages stereotyping, even within the context of Modotti’s efforts to celebrate the power of the masses. This criticism also applies to Arbus’s body of work. 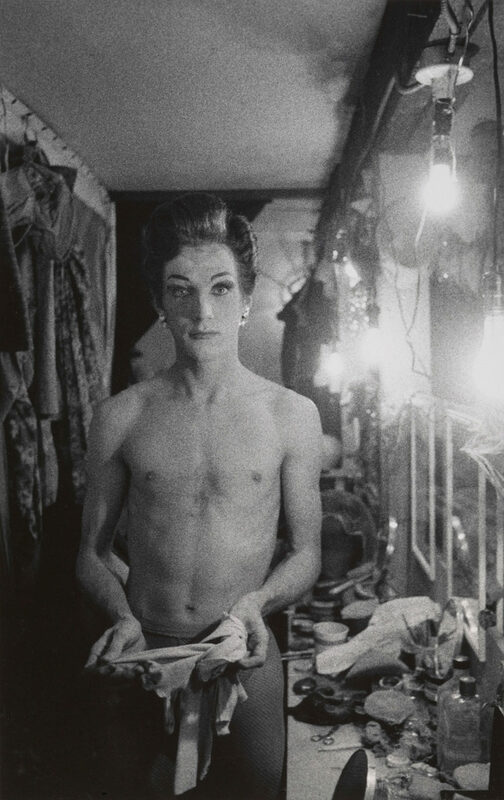 In her attempt to diversify who and what is being photographed, and what is considered artful, Arbus created a stark division between the in-crowd and the out. 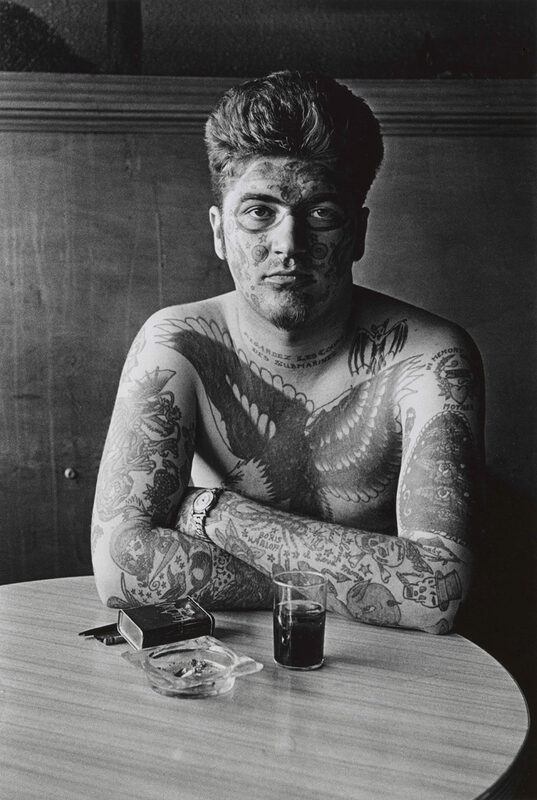 This is critical in understanding and appreciating the post-war work Arbus did in the 1970s. 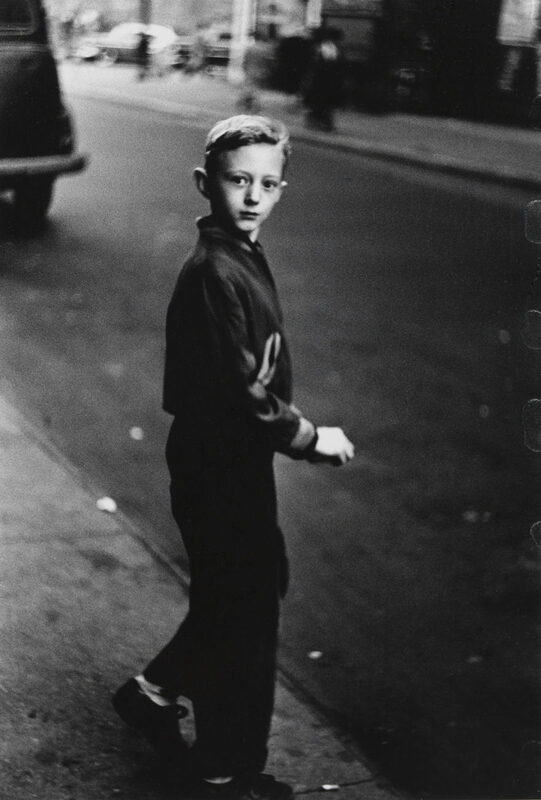 It wasn’t until then that Arbus found her stride photographing the outcasts of New York society in a genuine and inclusive manner. In a room located off of the main exhibition, Arbus’s “a box of ten photographs” sits on display, and the shift in tone and subject matter is palpable from the moment I step into the square gallery—surrounded on all four sides by 9 of the 10 photographs in the collection. “The king and queen of senior citizens dance” of 1970 is an absolute departure from the aristocratic portrait of “Old couple on park bench, N.Y.C.” of 1958. Not only does the former image show personality and folly, the title alludes to the necessity and prevalence of assisted living homes. This collection is certainly edgier and more cohesive than the first seven years of Arbus’s work, but, more importantly, it focuses on capturing individuals who were once branded as freaks and outcasts at home in American society. This stands in stark contrast to their portrayal as vagabonds in a circus nor as anomalies off the island of Manhattan. 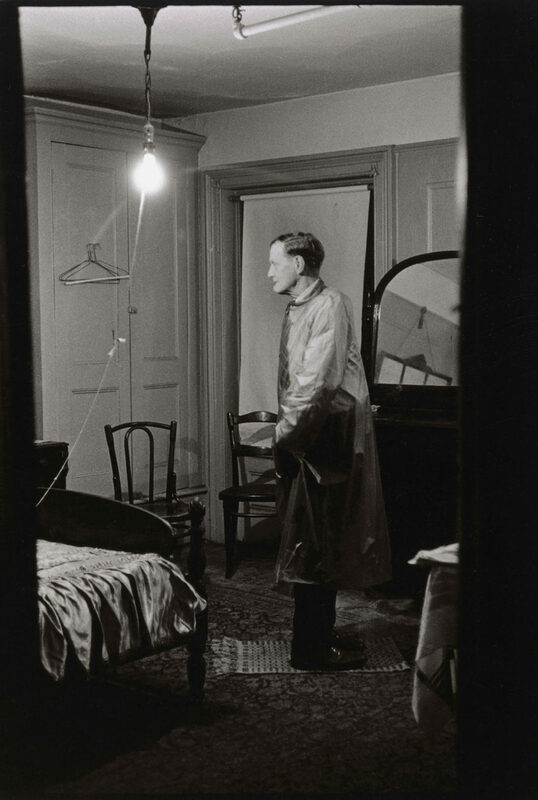 Arbus captured the majority of the ten images directly in the subjects’ homes, and in doing so shows that eccentricity is at home in New York—just as much as the elite are. For more information on the exhibition, please visit The Met Breuer (945 Madison Ave, New York, NY 10021).